Prt. 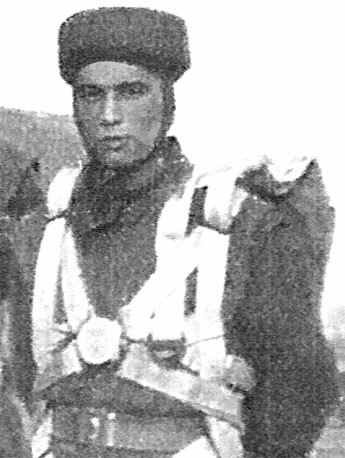 Roy H. "Zook" Suzuki, formerly of the Royal West Kent Regiment and No.5 Commando, served in No.6 Troop of No.6 Commando from June 1942 until 1945. Prt. Roy Suzuki, formerly of the Royal West Kent Regiment and No.5 Commando, then of No.6 Troop of No.6 Commando - he is of English/ Japanese parentage and one of four brothers (Roy, David, George & John). He had joined the army below the minimum age at Brasted, Kent on 27th June 1940 after his brother George (Green Howards) had safely returned from the confusion of Dunkirk. Meanwhile his brother David was serving with the Pioneer Corps and John served as a 'Bevin Boy' in the coal mines of England. Upon the eve of No.5 Commando being shipped out to Madagascar in 1942 Ro y Suzuki had been hospitalized. Eventually, realizing that his Commando would be shipping out without him he had discharged himself from hospital and attempted to reach the Commando aboard ship in Glasgow harbour by swimming in the River Clyde. He was spotted by the police, arrested and spent the next few days in jail before being identified as a serving Army Commando and returned to Achnacarry. There spending much of his time retraining with the American Rangers in advance of the Operation Torch, North African landings, before joining No.6 Troop of No.6 (Army) Commando. After the war, and changing his name to Roy Harding, he travelled the World, working in the Belgian Congo and South A frica before returning to the UK and studying law before being called to the Bar at Grays Inn, London , and practising in Chambers at Middle Temple . In 1971, Roy emigrated to Australia .